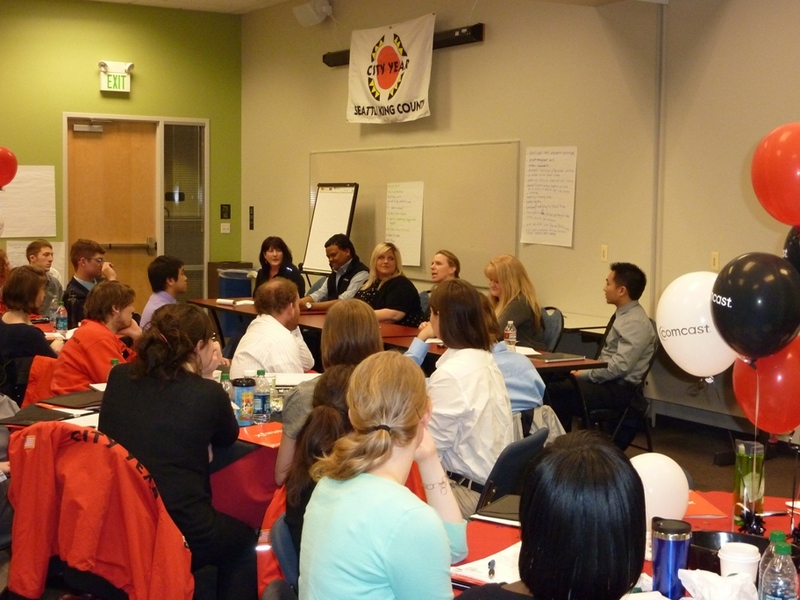 City Year brought its Seattle corps to Comcast's Lynnwood office for Career Day to learn about how to find and thrive in jobs. More than 60 young people who are serving the community through City Year Seattle/King County visited us to get some real-world career guidance for after they graduate from City Year. The corps members came to our state HQ in Lynnwood. Two panels of Comcasters with a broad range of titles and experience, ranging from relatively new employees to vice presidents, offered large amounts of practical career advice: Shauna Boser, Michael Cindric, John Dietrich, Nancy DiFrancia, Karie Houghton, Monica Lynd, Jason Oden, Teresa O’Keefe, Pat Pawlak, Teresa Torrence, Brenda Wilson, Nancy Winkley and Stephen Wong. Besides getting individual advice on resumes and jobs, City Year corps members heard advice from panels of Comcast employees. 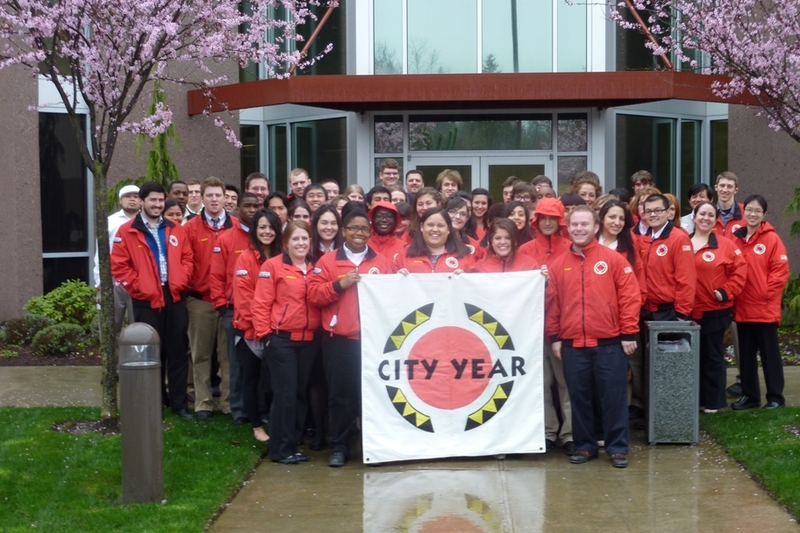 We enjoyed reading the Seattle City Year blog post about Career Day at Comcast. The Comcasters were really impressed with the focus of the young people, who were eager for individual feedback. Comcast’s HR team divided up the 60 draft resumes from the corps members, and provided individual advice to each corps member. “They were all ears. People were candid. They really appreciated that, and there was a lot of energy in the room,” Dale said. Among the top subjects for advice: how to properly format your resume these days, and how to build an ‘objectives’ statement that’s special to the company you’re applying to.